Hey, hey, hey, Groove-ophiles! While Michael Wm. 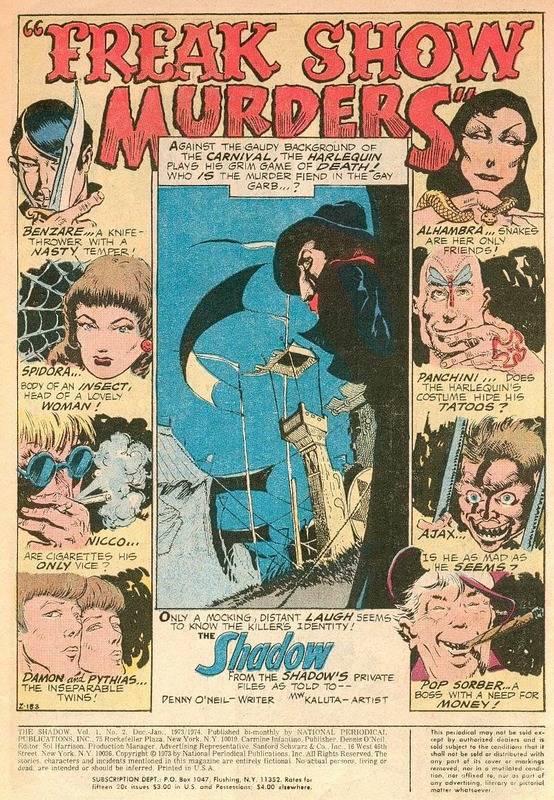 Kaluta only penciled five of the eleven issues (1-4, 6) of DC's The Shadow, his awesome artistry on the Hero Who Knows What Evil Lurks In the Hearts of Men became the stuff of legend! Wanna see why...? 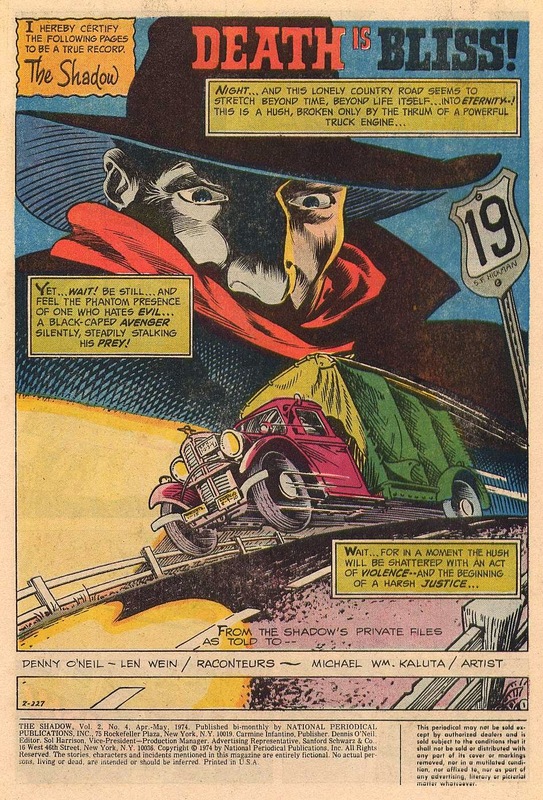 And don't forget, you can read all'a these pulpy classics right'chere on the Diversions--just take a stroll through the Stream of Comicbook Consciousness and look for "The Shadow". You'll be glad you did! I LOVED these comics when I was growing up! #3 is one of my all-time favorites. I bought #1 of this series when it first came out and acquired a replacement copy some years back. I've also got the DC hardback collected edition of the Kaluta issues, and I really must re-read it sometime soon. THIS is the book that got me started on comics, on pulps, on old time radio. It had an incredible influence on my life - you have no idea. Many, many thanks for featuring it today! 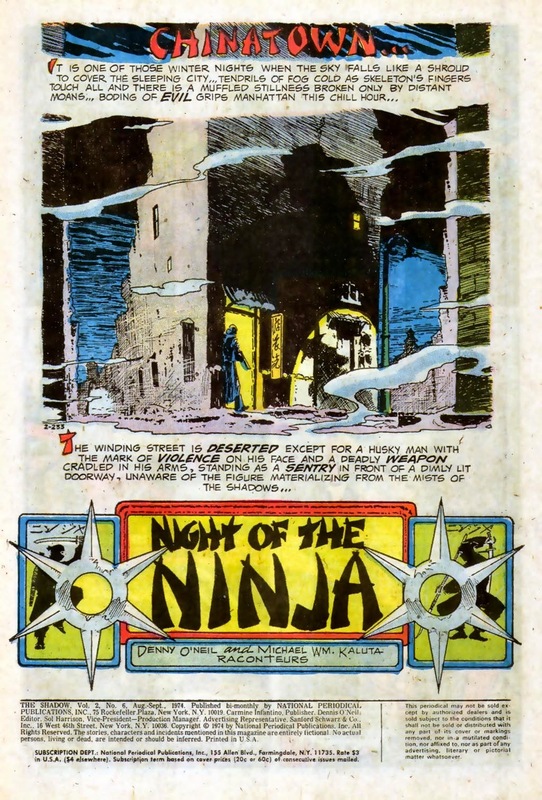 I had a few of these that I'd acquired through back issue outlets and flea markets in the 80's. I really need to score a TPB of the entire series. Dynamite is actually doing an injustice to the Shadow with some of the recent books. 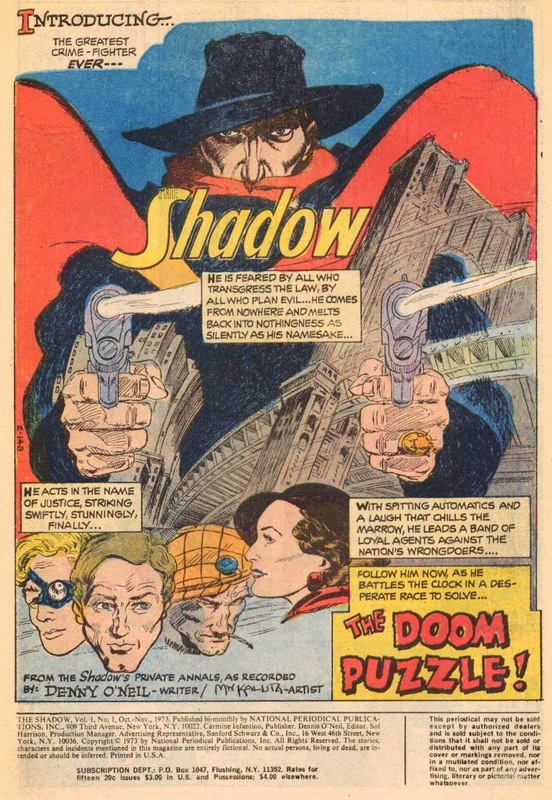 I was out of comics when DC started their second go-round with The Shadow. Did anybody here get a chance to follow it? Whatever Dynamite's doing it can't be one iota as bad as what Howard Chaykin di--GARTH ENNIS?!?! Oh sweet Jesus no. True, he only did a few issues back in the 70s, but since then he's basically owned the character and has returned again and again. It's probably the most requested sketch he does, and will be a big part of any Kaluta retrospective. It's part of his act and one I never tire of. 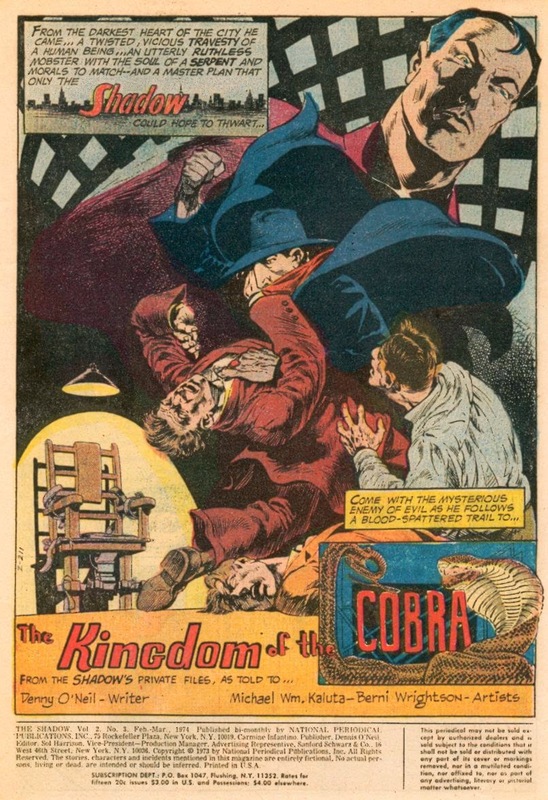 My favorite Kaluta comics story is "The Coming of Ghaglan" from HOUSE OF SECRETS #87 from August-September, 1970. You should run that one, Groove. It's only six pages, and is a classic.